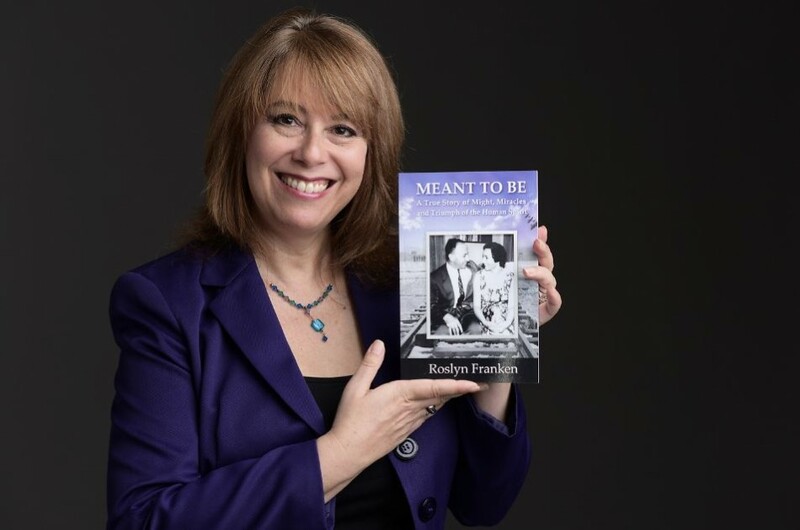 Author Roslyn Franken will present the awe-inspiring true saga of her parents’ unlikely Holocaust and atomic bomb survival and triumph as told in her book, Meant to Be. Book signing will follow presentation. Join us as internationally acclaimed author Roslyn Franken presents the inspiring true saga of her parents’ unlikely survival, love and triumph over tragedy as told in her book, Meant to Be: A True Story of Might, Miracles and Triumph of the Human Spirit. while her mother survived the concentration camps in Nazi Europe. Learn how they met and found everlasting love, against all odds. to her parents’ examples of strength and resiliency in her fight to survive. Roslyn will be available for book signing following the presentation. Books will be for sale for $20.00. For more information about Roslyn Franken and her book, Meant to Be, visit http://www.RoslynFranken.com.